Technology companies need to create more fashionable wearable technology if they are to drive widespread adoption among consumers, analyst company Beecham Research has said. Major technology companies have started to realise this, resulting in collaborations such as Google Glass and designer Diane Von Furstenburg, Fitbit and Tory Burch and the Withings Activite watch which used Parisian fashion designers and Swiss watchmakers. But start-ups in the wearables area are too focused on the technology and do not have the right business model that is necessary for them to succeed, according to the Beecham researchers. "Wearable technology start-ups are feeding the market with innovative ideas and creative uses of technologies, but they are not addressing other important issues, from security to business models," said Saverio Romeo, principal analyst at Beecham Research. "They do not consider at all what a business needs to consider [such as] business models, marketing, branding, design and ethics. They assume the technology is so cool that people will buy it because it is cool." 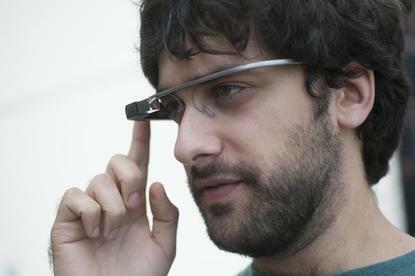 He added: "Wearables are not only tech products, and can't be." Claire Duke-Woolley, fashion technology analyst at Beecham, said: "There is a real difference between making technology wearable versus making technology products that are desirable and genuinely engage with consumers through good design practice. "Unless there is a holistic morphing of technology and aesthetics we will not harness the full potential of wearable tech innovation." Duke-Woolley and Romeo are the authors of a Wearable Technology report that Beecham Research published this week. In the report, they forecast that the market is on course to be worth $3 billion dollars by 2018. However, the researchers argue that taking a multidisciplinary approach to wearables could increase the market value to be worth $9.3 billion by 2018.